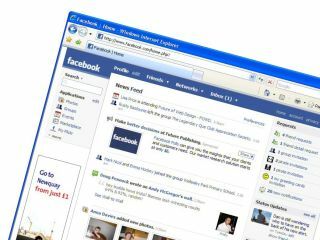 A new report suggests that a third of employers are now blocking social networking sites such as Facebook. Research by web security firm ScanSafe shows that more than a third of its corporate customers block social networking sites - up from 17 per cent this time last year. The report suggests that companies are beginning to wake up to the security and productivity problems associated with staff using social networking sites at work. However, the Facebook star has waned in recent weeks, with much less buzz about the 'phenomenon' that many predicted would be just a fad. Facebook saw users increase 270 per cent from June last year to June this year, with more than 52 million users worldwide - though MySpace still leads the market with 114 million users. ScanSafe reckons the amount of businesses blocking social networking sites stands at 32 per cent, with MySpace, Facebook and YouTube most likely to be given the thumbs down. LinkedIn comes fourth in the 'most blocked' list - which is surprising given that it's aimed at the professional sector for maintaining contacts.